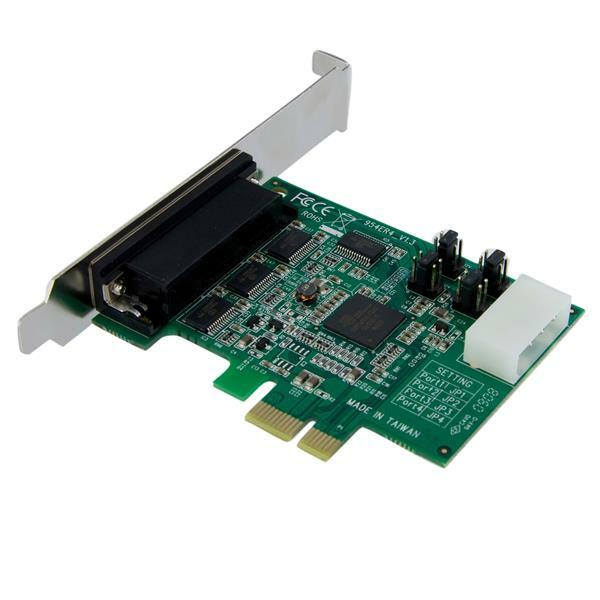 The PEX4S952 4 Port Native PCI Express RS232 Serial Adapter Card with 16950 UART allows you to turn a PCI Express slot into 4 RS-232 (DB9) serial connections. 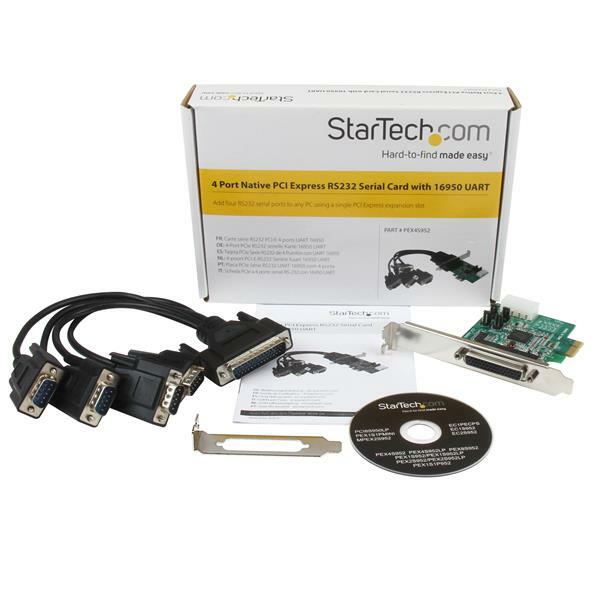 Offering compatibility with a broad range of operating systems including Windows®, Linux and Mac® OS for easy integration into mixed environments. 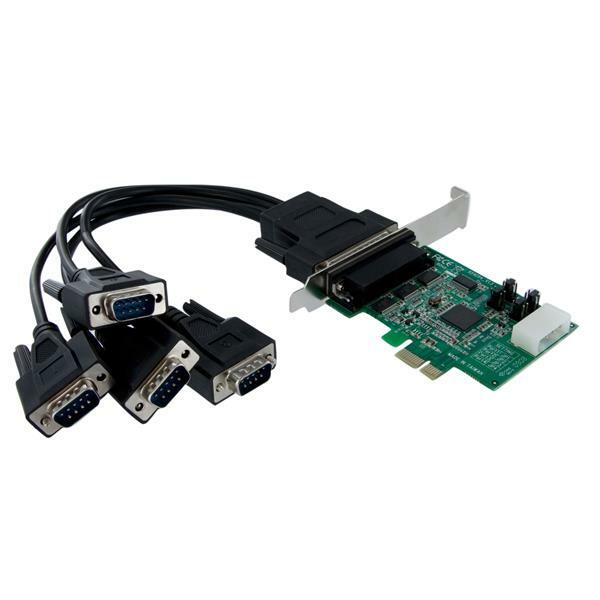 Plus, an included optional low profile/half-height bracket that allows the card to be installed in virtually any computer case – making it that much easier to add serial ports to your PCI Express enabled computer, regardless of the case form factor.